Fresh from the first R.U.M. mangrove flora workshops, enthusiastic volunteers surveyed the mangroves at the R.U.M. site. 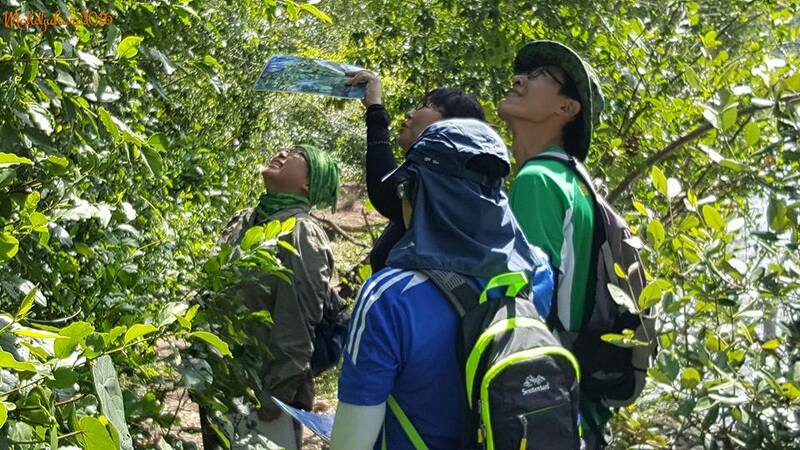 MORE RUMblers surveying the mangroves. R.U.M. 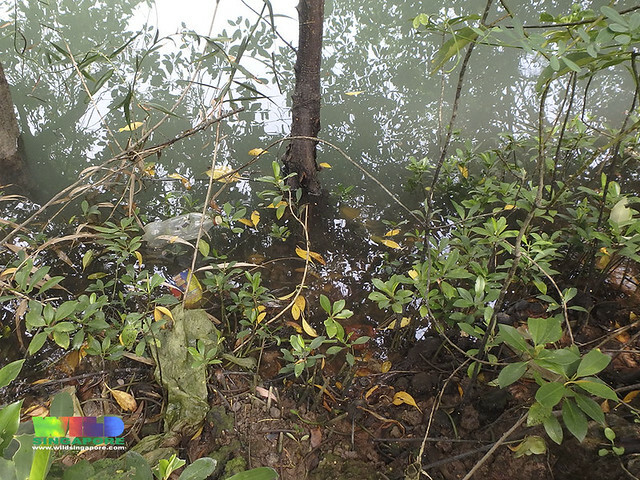 is using Ecological Mangrove Restoration to allow Mother Nature to do the planting in abandoned aquaculture ponds at Pulau Ubin. Why? 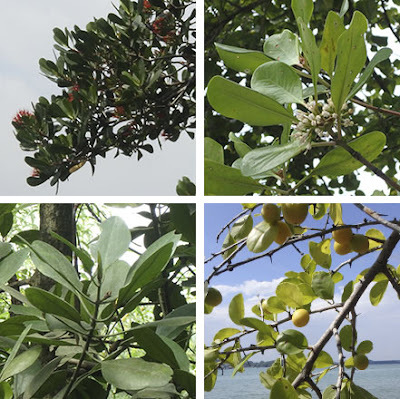 Because mangrove seeds and seedlings will settle and grow naturally (establish) if the shore is suitable for them. This means, for example, that the shore should not be too high or too low (elevation), the water flows not too fast or too slow (hydrology). In conditions that are 'just nice' for them, mangroves will flourish. 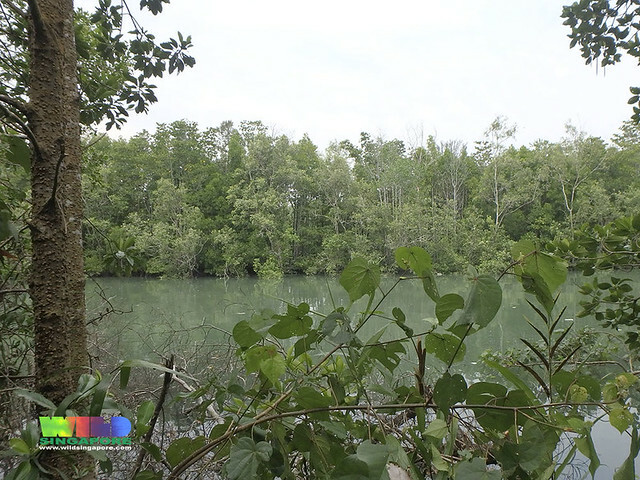 Because the artificial 'walls' or bunds of the abandoned aquaculture ponds are so steep, only a very narrow elevation is suitable for mangroves to settle. of the abandoned aquaculture ponds. In the middle of the pond, it is too deep for mangroves to grow. We hope to adjust the elevation and hydrology so that mangroves can settle naturally throughout the abandoned aquaculture ponds. so there are no mangrove trees settling there. Since we would like Mother Nature to do the planting, one aspect of R.U.M. 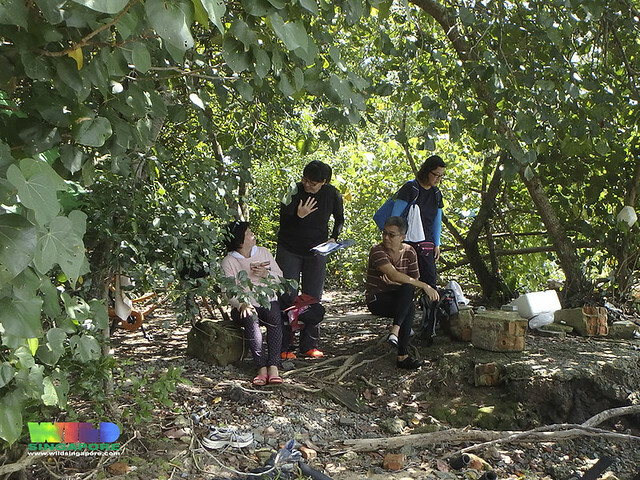 is to find out more about the 'mother trees' that have already settled around the abandoned aquaculture ponds. Many of the trees growing right at the edge of the ponds are tall. It's tricky to figure out mangroves just from their leaves, especially far away. 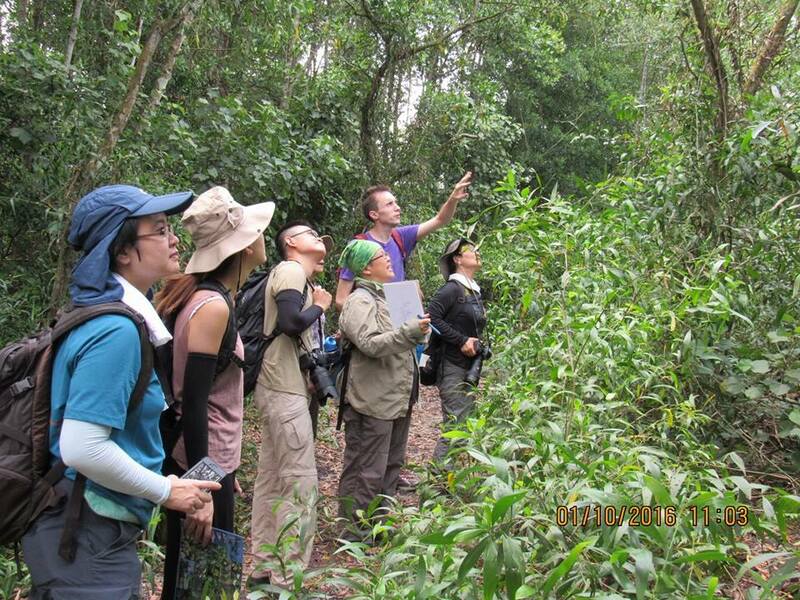 So it's great to have many eyes and thoughts to confer and decide on the species. 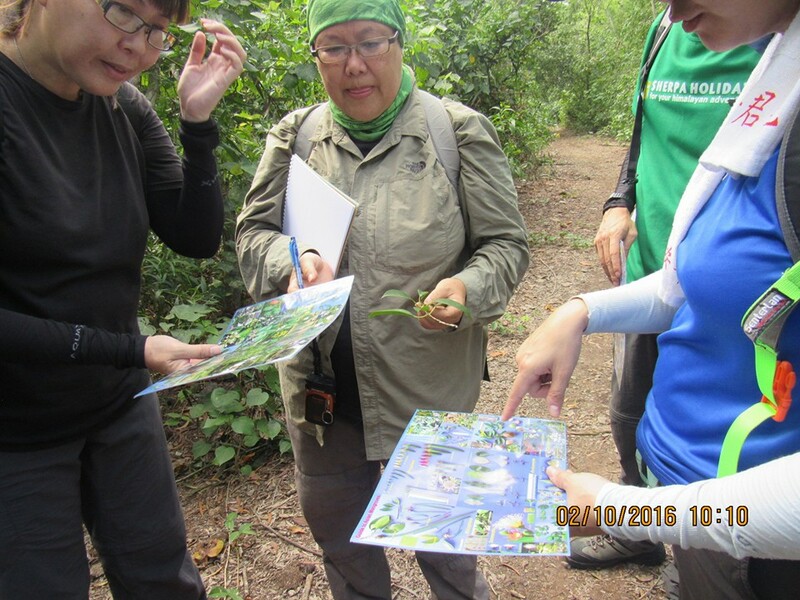 And Dr Jean Yong's awesome 'blue' mangrove guidesheets are wonderful as usual. The most abundant mangrove species was Bakau putih, with many tall tree, short trees, young saplings and even fallen seedlings all along the bund. 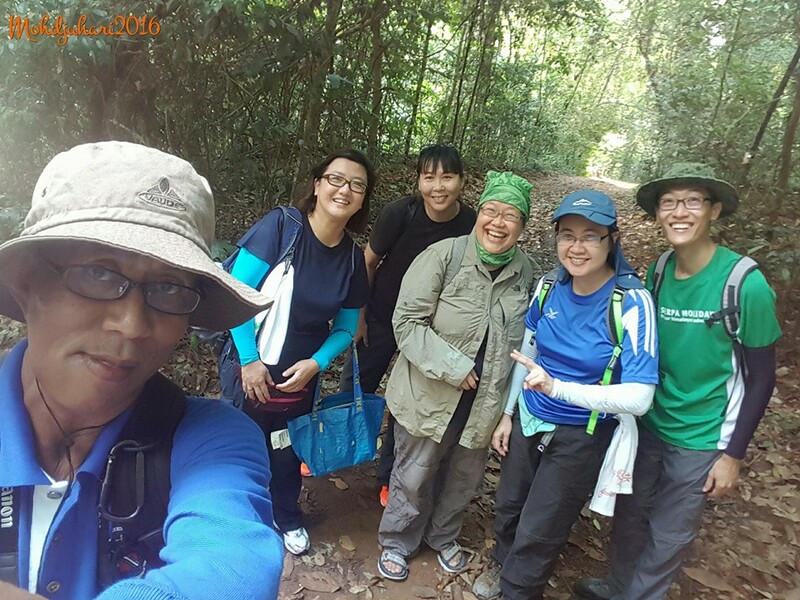 Among the special sightings were some Teruntum merah, Chengam, Tengar merah and Bedara laut -- which some of the volunteers bravely tasted. Here's a plot of the 'mother' trees that the RUMblers surveyed. Really appreciate their sharp sightings and great company! The RUMblers also took the opportunity to share about R.U.M. with people we meet during the survey. Such as these people who have been doing recreational fishing for many years here. Lisa shared with them in English and Mandarin. She also shared with our van driver in Mandarin. So great that R.U.M. has pamphlets in Mandarin thanks to help from volunteers for the translations. 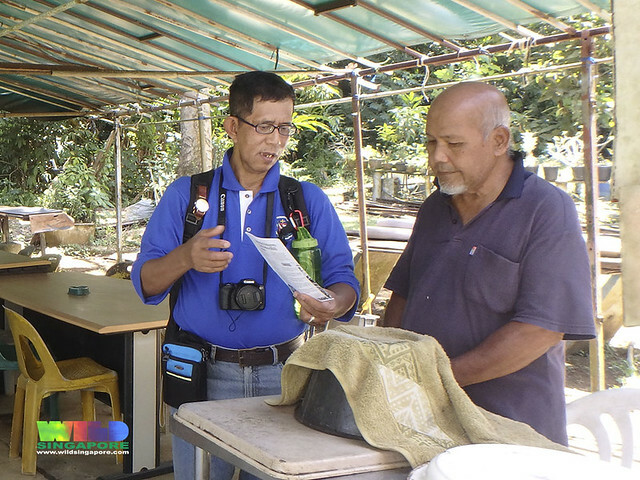 Mohammad Juhari also shared with Ubin villagers about R.U.M. in Malay. Thanks also to him for the Malay translation of the R.U.M. pamphlet. 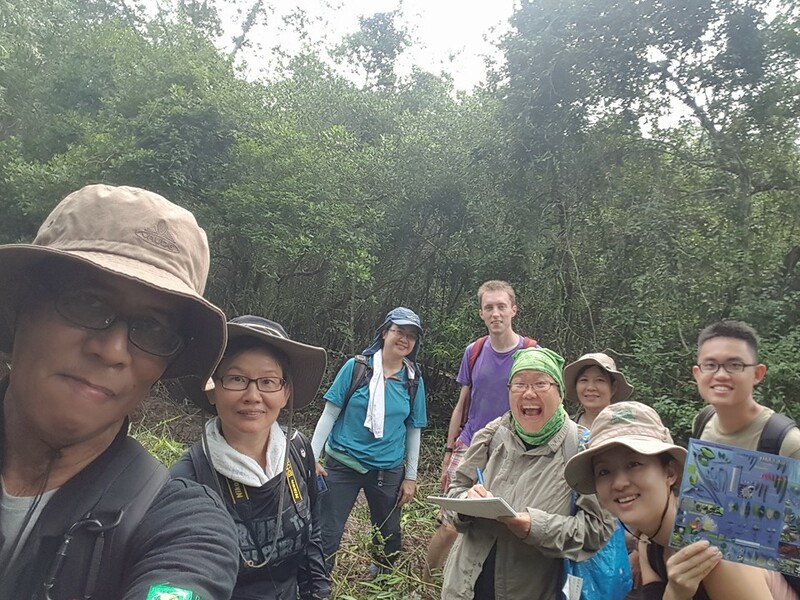 The RUMblers are such great fun and Ubin is a great place for volunteer work. We start the morning survey with kopi by the beach. 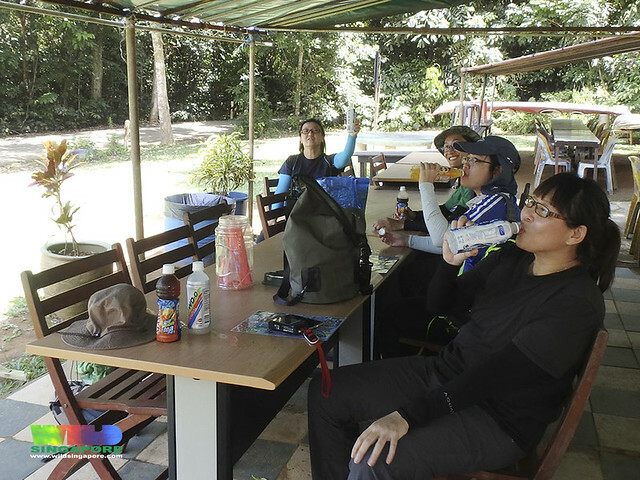 A cold drink is never far away on Pulau Ubin if you know where to go. 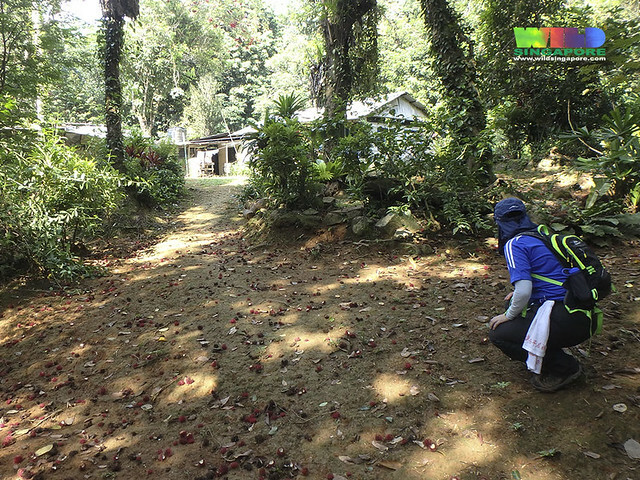 We explore quiet trails along the kampung houses at Pulau Ubin. Rambutans all over the ground! 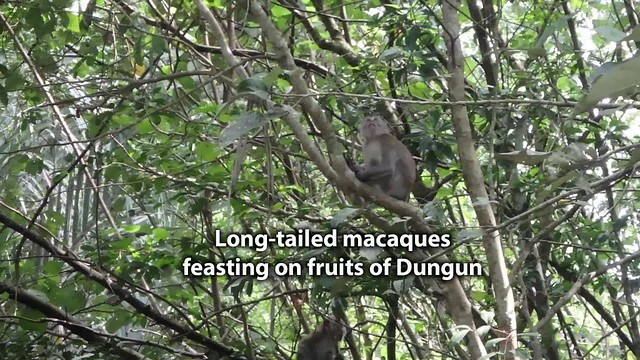 We saw a large group of Long-tailed macaques feasting on the fruits of Dungun, a mangrove tree that is listed as Endangered. 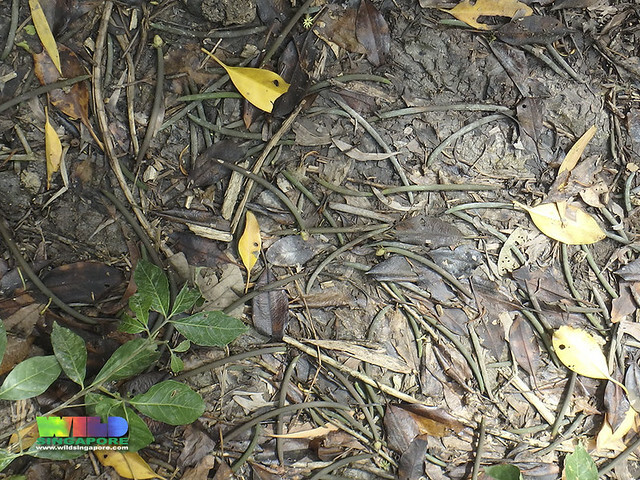 We saw them at this spot when we started the survey and they were still there when we ended about two hours later. MORE photos and videos by Mohammad Juhari on the R.U.M. facebook page: 1 Oct and 2 Oct.